One of the oldest branded candies in America, Good & Plenty Licorice candy is pure joy for the black licorice enthusiast. The easily recognized white and pink candy capsules have a black licorice center, and are coated in a sweet candy shell. 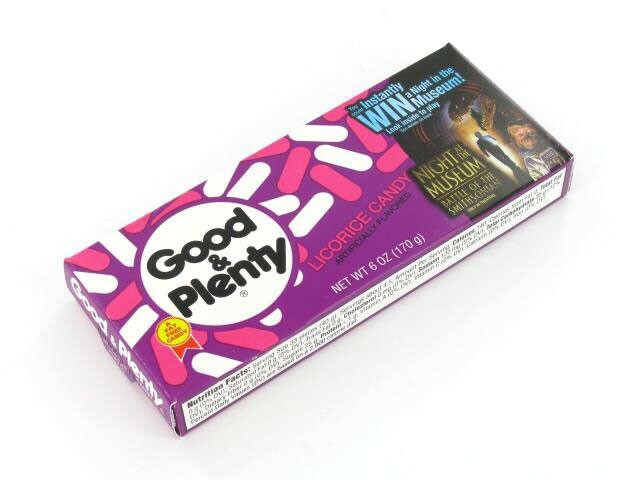 If black licorice candy is your game, Good & Plenty is the name. 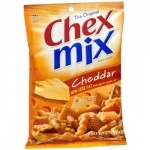 sugar, *corn syrup, flour, molasses, contains 2% or less of, licorice extract, gum acacia, salt, caramel colour, artificial colourings **(E129), *modified cornstarch, resinous glaze, anise oil, carnauba wax, artificial flavouring, k-carmine colour and sul *Produced from genetically modified maize. **May have an adverse effect on activity & attention in children. Got these at movie theatres In USA as a kid. Licorice with candy coating. 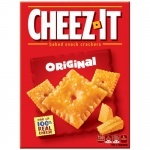 The best!